Seat has become the Spanish arm of the Volkswagen Group, with its headquarters based in the heart of Catalonia at Martorell, some 30km from Barcelona. The company claims to be the only carmaker that designs, develops, manufactures and markets cars in Spain and employs some 15,000 professionals at its manufacturing facilities. The company exports 80% of its vehicles, and is present in over 80 countries on all five continents, with its main market in Europe. Seat sales in Europe bounced back up in 2013 and the following years after fluctuating in a downward trend from 2007 to 2012. In 2017, Seat obtained an after tax profit of €281m, sold more than 460,000 cars and achieved a record turnover of more than €9.5bn. The Spanish carmaker delivered a total of 468,431 vehicles in 2017, which is 14.6% more than in 2016, and an increase of nearly 60,000 units compared to the previous year, when the brand sold 408,703 cars. Seat’s fleets channel recorded substantial growth during 2017 delivering 94,913 units through the company sales and leasing (true fleet) channel, representing a 21% increase compared to 2016. In addition, 2017 was the fifth year in a row of growth for Seat, with sales going up by 45.9% since 2012. 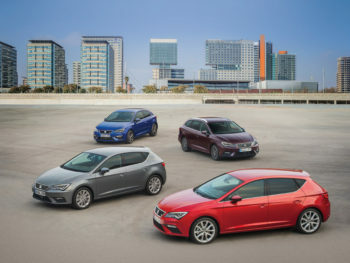 Seat is in the midst of its largest product offensive that began in 2016 with the arrival of the Ateca and continued in 2017 with the restyling of the Leon, the fifth generation of the Ibiza and the introduction of the new Arona small SUV, which generated the highest sales since 2001 for the brand and increased its market coverage up to nearly 75%. This figure is expected to increase further with the arrival of Seat’s large SUV offering, the Seat Tarraco, which is scheduled for the end of 2018 and offers up to seven seats. Unlike Seat’s mainstay models, however, the Tarraco will be built at Volkswagen AG’s Wolfsburg plant. Additionally, Seat’s independent sports brand will launch its first model at the end of 2018, the Cupra Ateca. By the end of 2017, both the Leon and Alhambra had achieved their highest ever sales figures: Leon sales rose 2.9% to reach 170,000 deliveries, while the Alhambra went up by 1.7% to 31,200 units. Sales of the Ibiza totaled 152,300 units, a rise of 0.6% over 2016’s sales following a refresh. Seat’s sales success has been bolstered by growth in its main markets, which includes Germany where sales reached 102,100 units for the first time since 1991 (+13.4%). In second place, Seat’s home country Spain made a sales increase of 23.1% to reach 95,100 units sold. Third in line, Seat also achieved its best ever result in the United Kingdom with an 18.3% growth (56,200 cars sold). Two other main markets for the brand are Mexico (24,700 cars; +0.7%), where the brand continues to grow despite a difficult market environment, and France (24,200; +15.6%). Also in the brand’s top 10 markets were Italy (18,100; +9.5%) and Poland (11,100; +24.8%) where consistent growth is being observed. Seat’s eighth largest market, Austria, obtained its best sales result with sales climbing 19.2% to reach 17,500 units, and Switzerland, which rounds off the top 10 with a 29.0% increase, reached 10,300 sales. Seat also obtained its best ever sales result in Israel (8,800 units; +10.1%), the Czech Republic (8,300; +1.4%) and Morocco (1,900; +7.0%). In July 2018, Seat announced its next move in the Chinese market where it will spearhead Volkswagen’s growth there, with Seat becoming a shareholder of the company created by Volkswagen Group China and JAC (JAC Volkswagen Automotive Co., Ltd.). The signing of the Memorandum of Understanding (MOU) will result in the introduction of the Seat brand in the Chinese market targeting 2020-2021. The MOU also indicates that a new R&D centre in China will be established to develop electric vehicles, connectivity and autonomous driving technologies with operational use planned for 2021. In addition, the joint venture will launch a “competitive BEV platform”. Alongside the importance of China, Seat is also being used as the tip of the spear in North African markets. Seat has adopted the latest connectivity technology in its vehicle range and is engaged in a global digitisation process to promote the mobility of the future. This includes exciting projects such as the electric touring racecar ‘Cupra e-Racer’ that is being used to showcase Seat as an electrified brand of the future and in particular its sports-arm, ‘Cupra’. Additionally, the brand is working on advances in “Easy Mobility”; its strategy for developing future mobility. Through partnerships with companies including Telefónica and integrating systems like Amazon’s Alexa and Shazam, the brand hopes to establish synergies with companies that promote its position as a reference in vehicle digitisation. The brand is firmly pursuing the production of models powered by Compressed Natural Gas (CNG), which it believes is a cleaner and cheaper alternative to traditional fuels, with environmental benefits and even possibly an alternative to electrified models. Before the end of 2018, the brand will launch what it claims is the most sustainable version of the Arona that will become the first SUV on the market fuelled by CNG. The Arona TGI will be a part of Seat’s growing CNG range, which currently includes the Mii, Ibiza and Leon. Green and technical growth is not only focused on vehicles, but also benefits Seat’s manufacturing facilities, for example the Martorell facility recently installing one of the world’s largest photovoltaic plants in the automotive industry, covering an area equivalent to 40 football fields with 53,000 panels that together should reduce CO2 emissions by nearly 4,000 tonnes annually. The multinational has a Technical Centre, which operates as a knowledge hub that brings together 1,000 engineers who are focused on developing innovation for Spain’s largest industrial investor in R&D. Unprecedented growth: 2017 was one of the greatest years in Seat’s history. We have brought the consolidation phase to a close and it is now time to embark on a period of growth in order to advance to the next level. In addition, the company’s good health allows us to be confident that Seat has the potential to diversify and double its business. This is our goal. Strategy: We must follow the path laid out in our Strategy 2025. To begin with, we need to strengthen the brand. Now that we are in the best period in the company’s history, it is time to tackle new objectives that help improve our positioning and put Seat on the map, making the brand more prominent. We must atspire to be a global company, creating a strategy based on large global geographical areas that will enable us to increase sales and the return on our investments. We have to be ambitious, look beyond European borders and strengthen our position in markets further afield. Sustainability: We need to ensure the company’s competitiveness in the long term, working on the optimisation of costs in all areas, harnessing the technological change towards new propulsion systems such as electric vehicles and CNG and offering services related to new mobility systems. 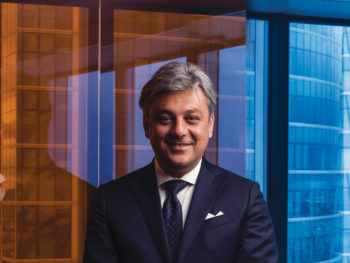 Transformation: Over the next few years, Seat will need to change its business model, becoming a supplier not only of products but of connected products and services. We want to be a flexible and transparent brand, to improve processes, technological tools and speed in the decision-making process. This will allow us to adapt to new trends and to deliver products and services according to our customers’ needs. In short, we must embrace change and turn it into the beacon that guides us along the path towards a promising future.